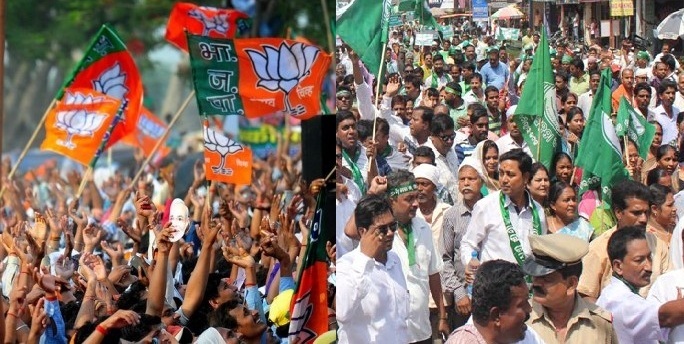 ONI Bureau: The India TV-CNX Opinion Poll has given a fair prediction for Lok Sabha polls in Odisha, saying the ruling Biju Janata Dal (BJD) could win 16 seats – 4 less than what it won in 2014, while BJP could win 5 seats with a gain of 4 seats if polls are held today. The opinion poll says Congress would draw blank yet again like 2014 polls. BJD had won 20 seats in Odisha despite Modi Wave while BJP managed to win just Sundargarh seat. The precited vote share for all 3 parties are BJD (44%), BJP (29%) and Congress (22%). The poll also says that Trinamool Congress may lose 7 seats in West Bengal to end up at 27 (down from 34 in 2014). BJP could win 8 seats (up from 2 seats in 2014). The Left could win 5 seats, followed by Congress (2). Uttar Pradesh remains a complex subject for the pollsters. If BSP, SP and Congress fail to fight the polls together, BJP may win 55 out of 80 seats (loss of 16). However, if there is a ‘Mahagathbandhan’ (SP+BSP+Congress), BJP’s tally would come down to 30. Without Congress, the SP-BSP alliance may not be very effective and BJP could still win 44 seats, the poll says.